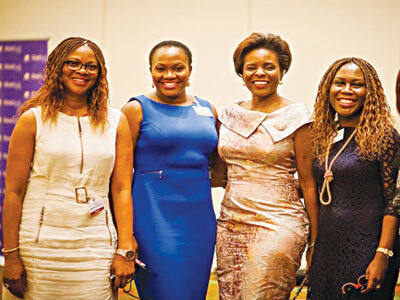 WIMBIZ 2015: Time To Step Up And Stand Out! IN 2015, Nigeria, the largest economy and most populous country in Africa transited to a new government. The new government is repositioning Nigeria by tackling challenges, realigning priorities and strengthening relationship with the international community. This has the potential of opening opportunities for growth and development, as well as emergence of a brand new set of leaders. Given the role women play in development, they are asking to take up new leadership responsibilities in partnership with the wave of change. There are challenges of course, which is why Women in Management and Business (WIMBIZ) is stepping forward to act as catalyst for energizing womanhood for emerging challenges. The task at hand according to the organisation is that of mobilising women around the subject of leadership; enlightening women about the tremendous opportunities to lead; empowering them with the necessary knowledge, skills and tools required to step up and stand out as exemplary leaders. WIMBIZ was founded in 2001 for the encouragement women to become change agents, by giving them the encouragement and leverage to pursue their businesses and careers goals. For fourteen years, WIMBIZ has used a set of programs to achieve its goals, which are – influence, stimulate and catalyze, the centerpiece of which is the annual conference that holds every November. The WIMBIZs’ flagship conference has a different theme each year, with several related and layered sub themes, focused on addressing challenges experienced by women in business and management. In fourteen years, the organisation has grown to become an institution with members at the top echelons of the corporate world, business, and public life. It has deliberately done this by equipping them with the training required to help achieve leadership goals without compromising business ethics and roles as mothers and wives. Going back memory lane, it is interesting to note that the kernel of the idea for a structured organisation that would cater to specific needs of the Nigerian woman was suggested by a man, Chichi Okonjo, who at the time worked with Accenture and is presently the only man on the WIMBIZ board of trustees. After attending a women’s conference in South Africa, he returned and suggested to his boss at the time, Omobola Johnson, former minister of communication that it would be great idea to start something similar for the Nigerian woman. 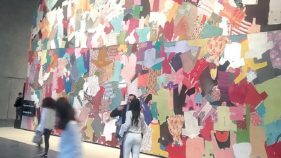 Omobola liked the idea and bounced it off her sister Yewande Zaccheaus. The go to person, who knew everyone and everything, was Morin Desalu, and it was in her kitchen that they had the first WIMBIZ meeting, where they discussed what the organisation would be about and whom to invite as founding members. They chose carefully and very wisely as history has proven; Yewande Zaccheaus, Mobola Johnson, Ibukun Awosika, Morin Desalu, Adeola Azeez, Funmi Roberts, Faith Matthews, Mairo Bashir, Toyin Olawoye, Ifeyinwa Ighodalo, Ifeoma Idigbe and Chichi Okonjo, – a choice that cut across ethnic, religious, and professional backgrounds. In the initial discussions on the aim and purpose of the organisation, the word ‘catalyst’ came up repeatedly and was unanimously agreed upon as being fundamental in defining the purpose of the organisation. A catalyst, a little thing that could stimulate change, speed up processes and cause reactions. Given the fact that today, Nigeria is in dire need of strong leaders, embattled by poverty and deteriorating infrastructure despite its abundant resources, the nation has a lot to gain from providing a level playing field. It is against this backdrop that WIMBIZ has for some time now been calling for more involvement of women in the nation’s economy as well as decision-making bodies of government. The organisation has made conscious effort to groom women leaders; leaders in the corporate world, in business and in politics. It has a crop of well-focused, hard working, and passionate women whose voices will be heard and whose skills will be brought to bear in fashioning out a better future for Nigeria. To ensure that its views are well heard, this year’s flagship conference is themed: “Leadership… Step Up and Stand Out!” which is directed at encouraging women to rise up to leadership challenges, among other critical roles where women have not been adequately represented. She observed that, ‘‘every woman must know how to manage her personal finance. One of the key challenges with women in politics for example is that most women are unable to finance their political careers. This is true in other aspects of life. How can women build their financial strength? How does the ability to grow finances impact women’s leadership? This conference will draw on personal experiences of the panelists in building a strong case for women to mind their personal finances’’. Central to the discussion of women and leadership is the subject of the family. This session seeks to help participants understand the critical role family plays in defining leadership, both now and in the future. Issues to be discussed will include the role of nannies, the nanny dilemma and the role of parents in shaping the future of their children. The conference brings together over 700 women to discuss a broad range of issues. Lady Maiden Alex-Ibru, Publisher, Guardian Newspapers is to chair the conference. The Keynote address is to be delivered by Wendy Luhabe, Founder and Chairman, Women Private Equity Fund, South Africa. Also expected at the event are women that have contributed to the growth of the economy, among them, Chairman, First Bank Plc., Ibukun Awosika. Adeola Azeez, Executive Council member said as part of its leadership drive strategy and efforts towards churning out credible, hard working and qualified women leaders, WIMBIZ has a six month Mentor/Mentee program, which is a tool for positively influencing younger female associates in a practical and measurable way. She explained that gradually, but consistently, WIMBIZ has spread its reach year after year and is now acclaimed as the largest organised body, purposefully and intentionally influencing women in Nigeria. The first annual conference of WIMBIZ in 2001 had less than 50 women and was advertised by word of mouth; WIMBIZ now hosts yearly conferences with over 400 attendees. However, the membership figure has soared, as more, enthusiastic upwardly mobile women have identified with the vision of being the change catalysts.